Roger Jahnke, O.M.D. is a doctor of Classical Chinese Medicine with thirty years of clinical practice and eight research trips to China to study its ancient healing traditions. 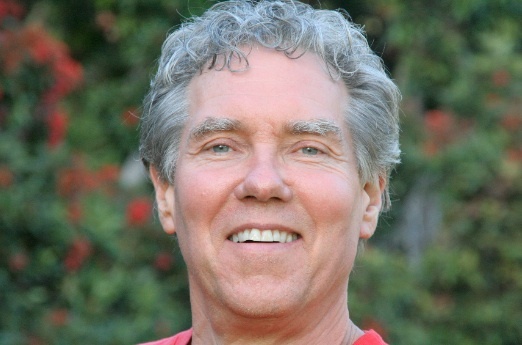 He is Founder and Director of the Institute of Integral Qigong and Tai Chi and serves as a consultant to hospitals, social service agencies, and corporations in Complementary and Integrative Medicine (CAM / IM), wellness, and medical cost reduction. Dr. Jahnke is author of The Healer Within (HarperSanFrancisco, 1999) used in body/mind programs worldwide. His most recent book, The Healing Promise of Qi (McGraw-Hill, 2002) has become an instant classic in the western literature on Qigong and Tai Chi. In 2005, Dr. Jahnke was appointed to co-convene a "National Expert Meeting on Qigong and Tai Chi" in collaboration with the University of Illinois at Urbana-Champaign and the National Blueprint for Active Aging. For more information, visit www.FeeltheQi.com. "Chinese medicine is wellness based and its benefits are accomplished through functional enhancement. When a body heals any part, the whole participates. Only in the Western world do we, because medicine is pathology based and potentially dangerous, believe it is critical to attack specific pathogens or remove a particular diseased part very specifically. In the more primitive systems of medicine where the paradigm is based on healing by maximizing the function of the whole being on every level, it is well known that the whole body works together to resolve pain and heal disease. In the more whole person paradigm, the idea of treating a part or process pales next to the profound idea that, integrally, any part can only be transformed with the support of healing components, factors and processes that happen throughout the whole system." Dr. Roger Jahnke, Founder and Director of the Institute of Integral Qigong and Tai Chi. An interview with Dr. Roger Jahnke: The Power of Mind-Body Medicine to Transform the Delivery of Health Care. "Conventional medical science has been so busy creating new technologies for treating disease that we have forgotten about caring for health. In the West we incorrectly believe that health care and medicine are the same thing. While we in the West have a truly fantastic, though very expensive, system based on treating people after they are sick, China has a profoundly remarkable and quite inexpensive system of health care based on keeping people well." Dr. Roger Jahnke. The Institute of Integral Qigong and Tai Chi (IIQTC) is dedicated to mobilizing citizens of all ages, professions, economic and social status to accept the responsibility for personal health promotion and self-care. The primary methodology for this initiative is to help to bring the ancient and sometimes esoteric self-care methods that are associated with traditional Chinese medicine – Tai Chi and Qigong – within the reach of typical American citizens. The extent to which an optimization of access to self-care tools and information can reduce the disease and mortality load and save money is significant and the Chinese self-care system is perfectly suited to create the desired outcomes. The IIQTC presents programs for the public that make access to Qigong and Tai Chi easy and enjoyable. In addition, the Institute trains Community Practice Leaders and Certified Integral Qigong and Tai Chi Teachers who work in community centers, hospitals, clinics, schools, churches, social service agencies and the justice system. The Institute of Integral Qigong and Tai Chi (http://IIQTC.org) is among the most respected research and training institutes for Qigong and Tai Chi outside of China. The institute's graduates (300 Teachers and 500 Practice Leaders) present classes and workshops worldwide in spas, fitness centers, retreat centers, hospitals, health systems, rehabilitation clinics, social service agencies, schools, universities, senor centers, faith ministries and the military services. Director, Dr Roger Jahnke, OMD has published two best selling books -- The Healer Within and The Healing Promise of Qi — have become classics in energy medicine, mind-body practice, holistic health care, wellness and integrative medicine. Check the Institute website for libraries, training information, books, DVDs and to contact the IIQTC headquarters for information. This video testimony of students in the journey to full certification in the IIQTC, Dr. Roger Jahnke tells the story of the IIQTC origination. Also, he presents the vision of the community surrounding this movement. Serious career pursuits are energized and supported by joining this confederation of humanitarian energy workers. Video was acquired at the IIQTC L1 training at Wimberely, TX in 2010. A graduate of the 200 hour Integral Qigong and Tai Chi Teacher Training program is automatically considered a Tai Chi Easy™ Practice Leader as well. Qigong and Tai Chi are the meditative and self-care aspects of Traditional Chinese Medicine. They are rapidly diffusing into complementary and integrative medicine programs nationwide. Transmitting Qi to others as compassionate service (Qi healing). Manage and market your business, network, and calculate compensation. No prior teacher experience is required. Some exposure to Qigong, Tai Chi, Yoga, or mindful fitness practices is suggested. Certification training is perfect for a career shift or as a personal healing retreat. It is suited for acupuncturists, physicians, nurses, counselors, physical therapists, school teachers, tai chi, fitness and yoga teachers, and those in social service agencies, schools, and faith communities.